As we come to the close of our second Elevation Awards cohort, we are affirmed in our commitment to place-based leadership. We believe that the city’s greatest potential change agents are those who are already in the Baltimore communities and are most impacted by its challenges. 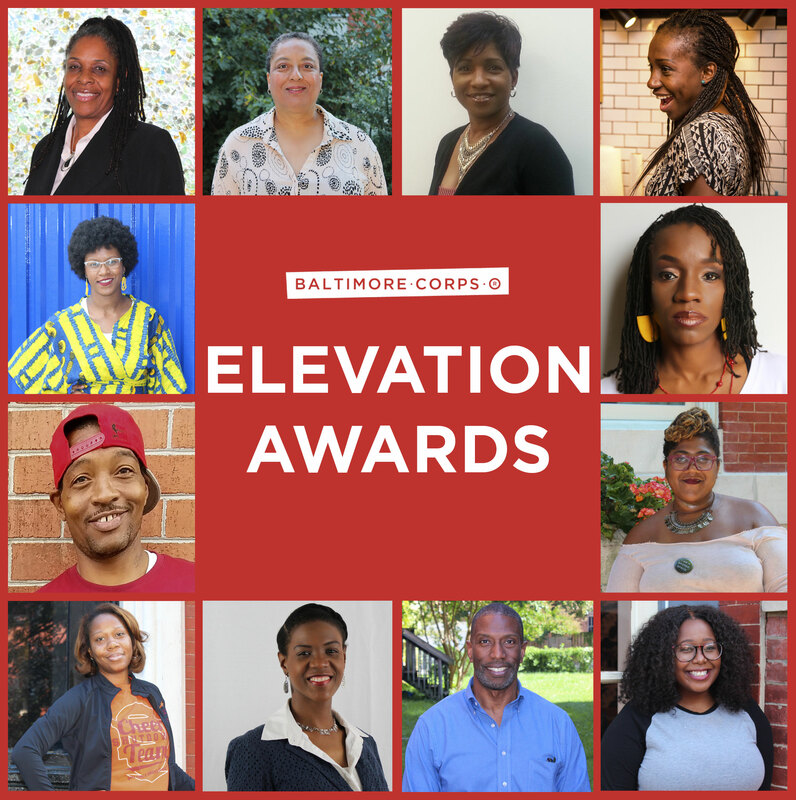 Through the Elevation Awards, Baltimore Corps works to identify these potential change agents, equipping them with information, training, experiences, administrative support, and initial financial backing as they work to transform an idea into reality. We look forward to continuing to work with these amazing community leaders as they embark on next steps for community solutions: Solutions that range from addressing blight in Baltimore to supporting new mothers with NICU experiences to providing services to the long-term unemployed and those transitioning from the criminal justice system and so much more. We are thankful for our partnerships with Echoing Green, the T. Rowe Price Foundation, the Robert W. Deutsch Foundation, Johns Hopkins’ Social Innovation Lab and OSI-Baltimore, and so many others who have supported our Awardees throughout the year. We hope you will join with us in celebrating and showcasing the work of our Awardees Tuesday, June 19. Applications for the next group of Awardees will open that same evening. We encourage you to spread the word to change agents in your network who are working to make the city stronger to apply for this incredible opportunity. Tuesday, June 19, 2018 | 6:00-9:00 P.M.
Visionary Partner Organization Baltimore Community Foundation launched their “Invest for More” program this month. Alumna Eva a Wingren helped to develop Invest for More during her Fellowship year and currently staffs the program. 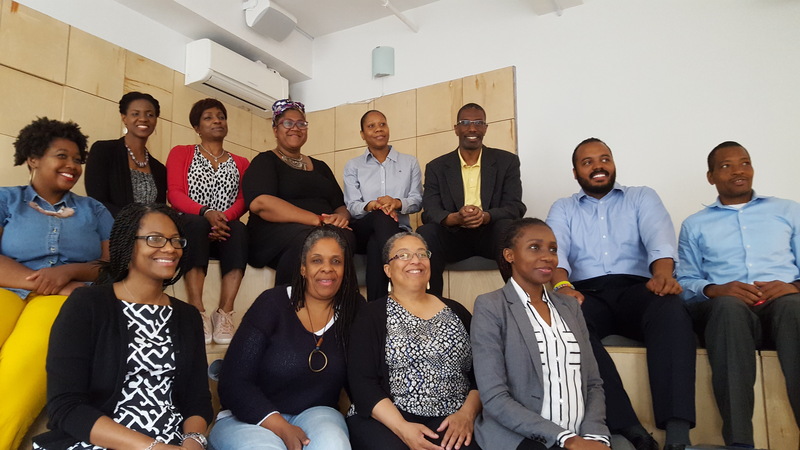 On May 31, our Elevation Awardees traveled to New York to meet with the Echoing Green team and current Fellow / ELiTE Education Founder Chelsey Roebuck about possible next steps for Awardees and their social enterprises. On May 23, President & CEO Fagan Harris participated on a panel on how Baltimore can innovate, modernize, grow, and win with the Baltimore Efficiency and Economy Foundation. 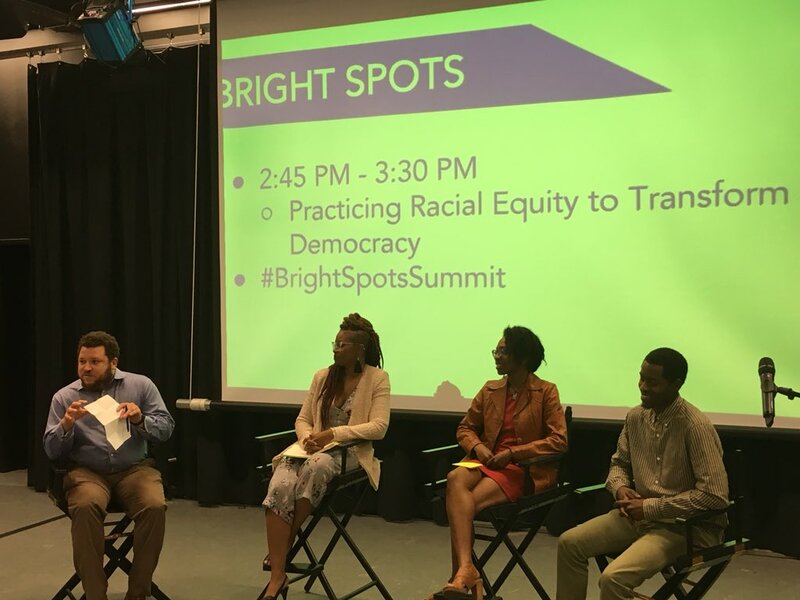 On May 23 and 24, the Baltimore Corps network was well-represented at the Bright Spots Summit, with Fellow Eean Logan of #BaltimoreVotes sharing how the Baltimore community can uplift voter participation, Vice President Dawn L. Brown speaking on the role of funding and civic engagement, and President & CEO Fagan Harris facilitating a panel of Fellows Eean Logan (#BaltimoreVotes), Ateira Griffin (Councilmember Zeke Cohen’s office), and Kendra Hendrix (BUILD Baltimore) focusing on democracy, civic engagement, and government. On May 15, Baltimore Corps was pleased to announce a generous gift of $500,000 from Patricia and Mark Joseph. On May 13, Elevation Awardee Ana Rodney held a special event at TouchPoint Baltimore – Mondawmin, followed by programs throughout the week and throughout Baltimore, ranging from “Reclaiming Your Identity After Motherhood” to a Yoga Outside Healing Circle to participation in the Black Women’s Health Symposium at Towson University. On May 6, Elevation Awards project Mera Kitchen Collective made its Baltimore Farmers’ Market debut and, per usual, sold out of their delicious offerings! 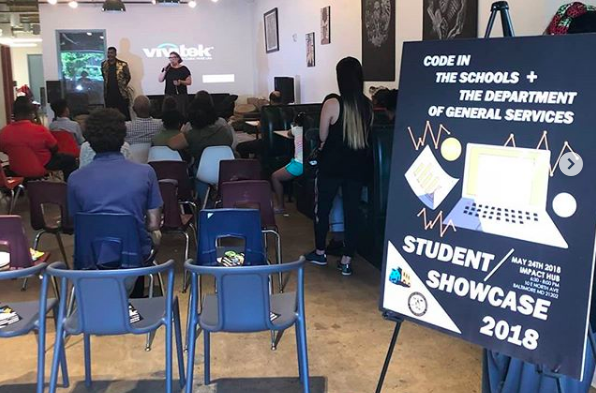 On May 1, 9, and 16, Baltimore Corps hosted a series of information sessions with potential Visionary Cause Leaders looking to host Fellows for the 2018-19 Fellowship year.